If the idea of bears going without sustenance for months during hibernation boggles your mind, you're not alone. Not all bears truly hibernate. Bears in captivity do not, at least not to the extent of those in the wild. Hibernation is a survival instinct, and the need isn't there when food is aplenty. Bears that live in the wild hibernate out of pure necessity. During the winter months, food is hard to come by. 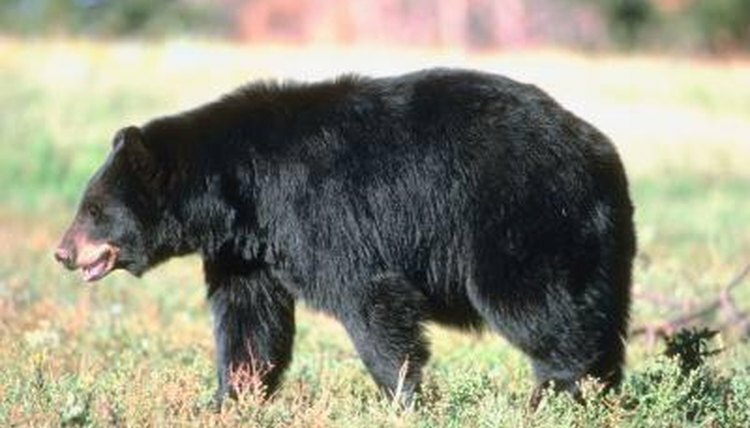 By becoming dormant during hibernation, bears essentially skip through the rough season. When bears hibernate, their bodies utilize their fat reserves at a gradual pace. Not only does the biological process entail not drinking or eating at all, it also involves the absence -- or drastic decrease -- of waste elimination, too. Bears that reside in captivity have constant and reliable food and water sources; because of that, their survival is not dependent on hibernation. Captive bears often do slow down in general, and may be significantly more listless and exhausted than usual. Bears in captivity frequently have reduced wintertime appetites, as well. Regardless of abundance of food, pregnant female bears also frequently hibernate while in captivity, too. Even with hibernation is unnecessary, captive bears that hibernate may be doing so out of classic animal instinct. Though a bear may sleep most of the day away, he also may spend a lot of time wandering around and consuming his meals normally otherwise. If you catch a bear at a zoo during mealtime, you may not be aware he's practically in hibernation the rest of the time. The approximate time frame for bear hibernation starts in the autumn around October and ends in the spring in April or May. By the time spring hits, sources of nourishment are again copious. If you happen to visit your zoo within this time frame, the bears may not be as playful and animated as during the rest of the year, so take note. Michigan State University Science Theatre: Why Do Bears Hibernate?